COLOURS: If you want a bespoke RAL colour for your folding trolley you must state this in the comments field when ordering & we will contact you for details. 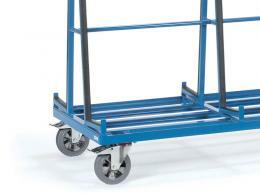 What is the purpose of the 2 Sided Sheet Material Trolley? The Sheet Material Trolley was manufactured for transporting glass, wood, or plastic panels and complete doors and windows. These trolleys make it easy to move these items from one place to another without hiring many people to carry them back and forth. Where can this Material Trolley be used? This is the perfect product to use in warehouses where windows, doors, and large panels are stored. Since transporting these items is essential in such places, having an easy way to do it is important. Additionally, having a sheet material trolley on the delivery trucks for these products is also essential so that they are delivered damage free. 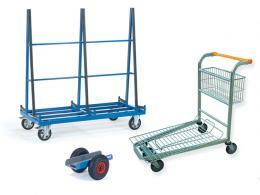 Who might use this 2 sided Trolley? This is the perfect product for any manufacturer, home builder, or distributor. 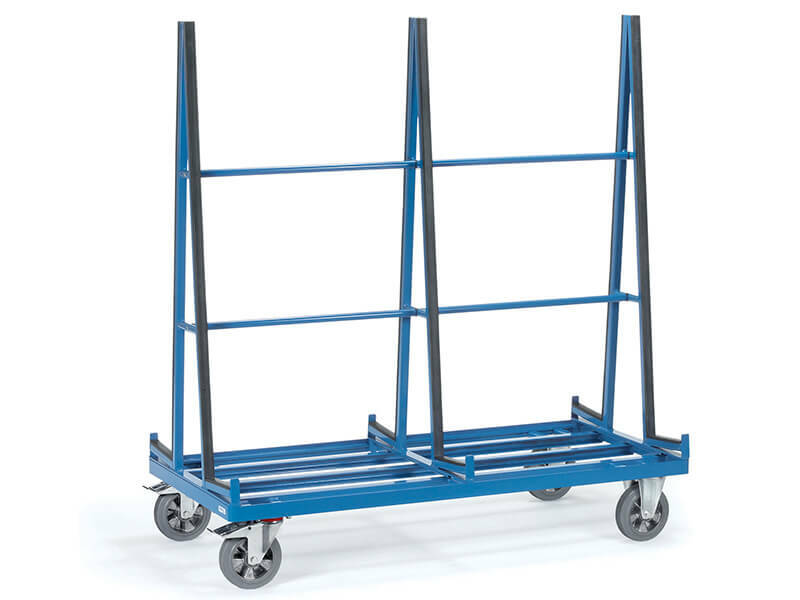 Having a sheet material trolley for easy transport can be the difference between an extended payroll and an influx of damaged items. 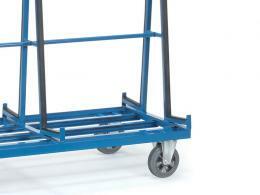 The sheet material trolley can carry up to a 1200kg capacity. It is offered in a powder coated welded steel frame in a standard blue RAL. With a 1450 mm height support, this product is built to carry these large sheets and deliver them without any damage. 4 castor wheels are fitted to the bottom with two fixed and two swivel tyres to ensure easy manoeuvring. As an added value, the sheet material trolley has a 10 year parts and labour warranty, ensuring your material cart will be good to pull its load for the next decade. Turnaround time for delivery is an estimated 10-15 working days when orders are placed before 3pm. Orders placed after 3pm will not processed until the following business day, so adding an additional day to turnaround time will be necessary. As with all of the products from The Workplace Depot, free shipping is always offered to any mainland UK destination.